The "fiscal framework" which governs how funds are allocated across the four nations of the UK (often simply referred to as the Barnett Formula, which underpins it) has never quite worked as intended and is frankly well past its sell-by date. If we're to have a sensible discussion about how the fiscal framework could be improved, we first have to understand what happens currently and why. It's hard to explain this in a way that doesn't quickly become mind-achingly complicated or simply too dull to hold the attention of all but the most obsessively curious. With that in mind, I'll try to separate the core arguments from the explanations, use illustrative examples with realistic figures and put stuff the analytically minded might want to understand into separate, smaller notes. The Barnett Formula (used to calculate the Block Grant) was designed to cause convergence of per capita spending between the four nations of the UK, an effect known colloquially as the "Barnett Squeeze"
1. 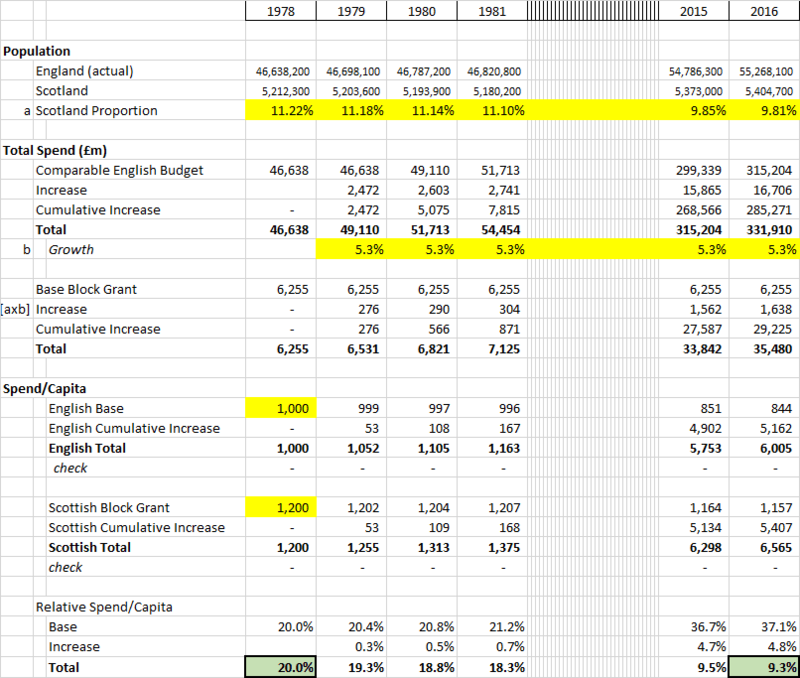 The Barnett Formula (used to calculate the Block Grant) was designed to cause convergence of per capita spending between the four nations of the UK, an effect known colloquially as the "Barnett Squeeze"
The majority of the devolved administrations’ spending is funded by grants from the UK Government – the block grant being the largest. Since the late 1970s the non-statutory Barnett formula has determined annual changes in the block grant. The formula doesn’t determine the total amount of the block grant, just the yearly change. When there is a change in funding for comparable services in England, the Barnett formula aims to give each country the same pounds-per-person change in funding. In general, if a service is devolved it is considered to be comparable. When a change is made to a UK Government department’s budget (normally at a spending review) the Barnett formula takes the budget change, considers how comparable the services provided by the department are to those provided by the devolved administration, and applies a population proportion, as shown below. This calculation is carried out for all UK departments and the results are added to the devolved administrations’ block grants2. Note 2: These amounts are generally referred to as "Barnett Consequentials"
Obviously if more spending powers are devolved the comparability percentage goes up, but if we're considering the underlying dynamics of the Barnett Formula it makes sense to consider an area where this doesn't change (if you like, think of a fully devolved area like Education where the comparability percentage is simply 100%). For most departments (where spend is devolved to all four nations) the "Appropriate population proportion" for Scotland is simply [Scottish population] / [English population]. To understand the Barnett Squeeze let's first consider what happens if this proportion doesn't change (i.e. 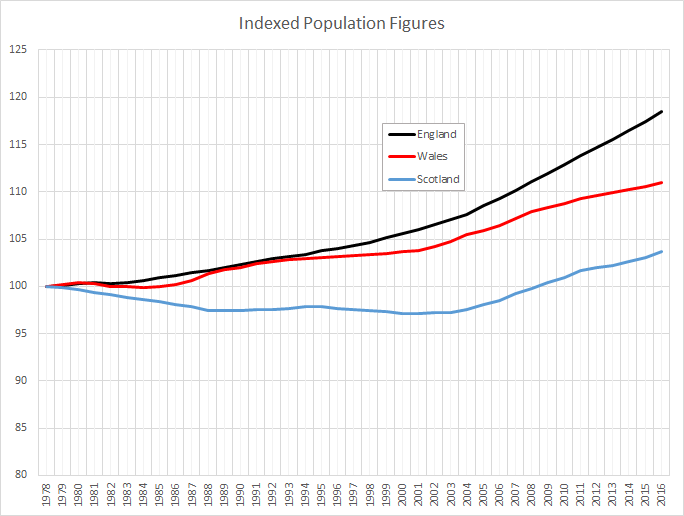 English and Scottish population growth rates are the same). We can run the numbers with a simple spreadsheet using actual English population figures and covering the 38 year period since the Barnett Formulas was introduced in 1978. Over that period rUK has seen average annual public spending increasing at about 5.3% pa (a combination of inflation and real growth) so we'll use that assumption for this illustrative department's spending growth in England. Our last assumption is that this is a department where in 1978 Scottish spend per head was 20% higher than England. The snapshot of the spreadsheet below shows how the mechanics work: key modelling assumptions are in yellow and the "answer" - the amount by which Spending per head in Scotland exceeds that in England - is in green. 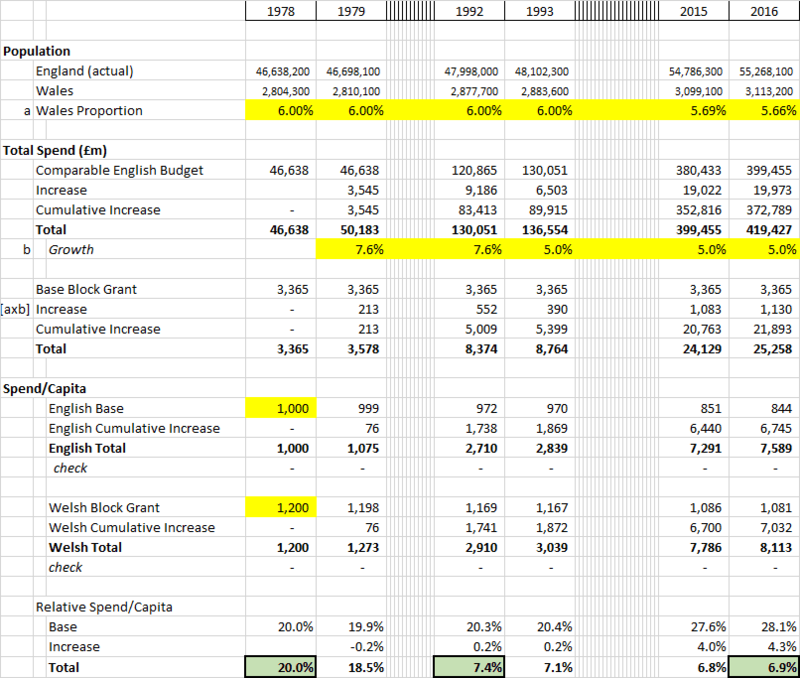 Note 4: This makes intuitive sense: 5.3% cumulated over 38 years is more than a 7-fold increase, so by 2015 over 80% of the Block Grant has been determined by the Block Grant Adjustments which are on the same per capita basis, less than 20% is at accounted for by the "base" at the 20% higher rate. Note 5: as the House of Commons Briefing Paper explains: "The majority of changes in the devolved administrations’ DELs are determined by the Barnett formula. However, there are some items in DEL for which the population based Barnett formula is not appropriate. DEL items outside of Barnett, often known as non-assigned items, are ring-fenced and specific to their particular spending priority. Such items, including depreciation, are determined separately between the devolved administration and UK Government. The population-based approach of the Barnett formula is not appropriate for determining changes in AME grants, because of their demand-led nature, so these are determined periodically between the devolved administration and UK Government." 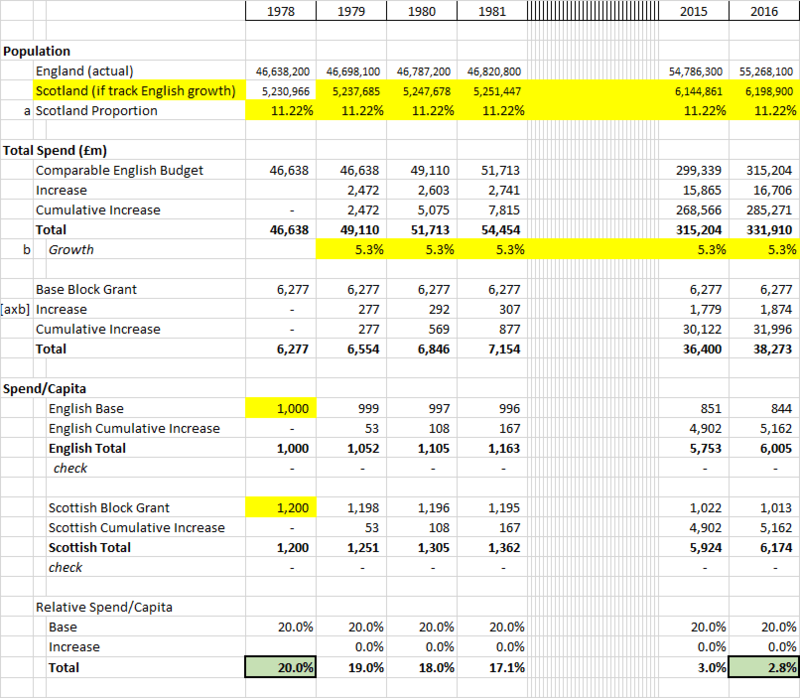 and "Although the Barnett formula represents normal procedure, changes to the block grant can be made outside it - a process often referred to as ‘formula bypass’"
Now we have this simple model, it's easy to see what happens if instead of assuming Scotland's Population grows at the same rate as England's, we use the actual population figures6. The effect of applying the actual (relatively slower) population growth in Scotland is to significantly slow the Barnett Squeeze: instead of the spend/capita premium being reduced from 20.0% to 2.8%, our model now shows it still at 9.3% in 20167. Note 7: this is less easy to intuit than one might expect. The "base" part of the block grant remains static in absolute terms so becomes significantly higher relative to England on a per capita basis - the same effect applies to prior years' Block Grant Adjustments which will have been calculated on a relatively higher proportion. In addition, the fact that prior-year proportions are necessarily used means there is an addition "built in" squeeze dampening affect as long as the Scottish population proportion is declining. ".. if population proportions are not regularly updated convergence can be affected. For instance until 1992, the 1976 population estimates were used for the Barnett formula. During this time Scotland’s population was falling relative to England’s, which would have worked against the Barnett squeeze." We've got the model so it's easy to scale what effect this would have. To improve modelling accuracy I've applied a nominal spending growth rate of 7.6% pa until 1992 and 5.0% subsequently (reflecting actual growth rates in UK spending over those periods) and then looked at what the 20% premium would reduce to if Barnett were "correctly" applied vs. if 1976 proportions were used until 1992 (as actually happened). So this failure to update the population proportions between 1978 and 1992 benefited Scotland's Block Grant amount by about 2.2% - a significant impact and one which is still implicitly reflected in our Block Grant today (albeit now diluted to just a 0.8% impact). Pause for a moment: I want you to imagine the howls of grievance we'd hear if failure to apply the Barnett Formula as agreed had resulted in a 2.2% detriment to the Block Grant instead of a 2.2% benefit. OK, now carry on. If you're struggling to get your head around this, you're not alone. 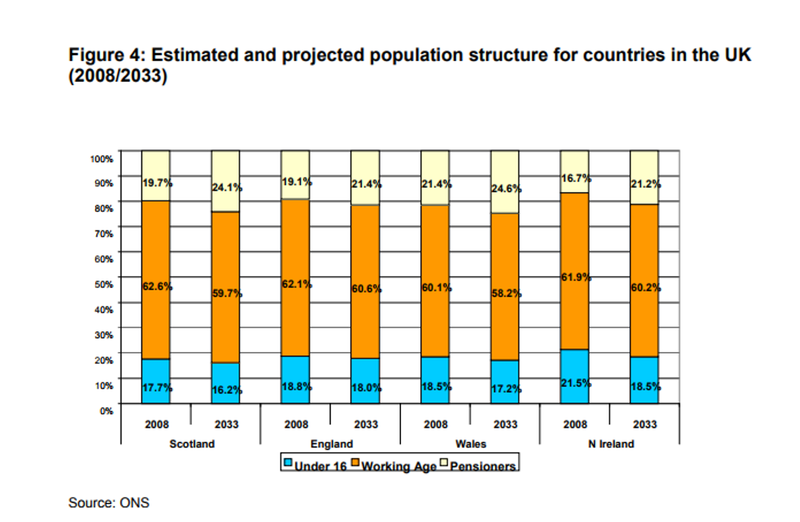 That House of Common's Briefing Paper is at best confusing when it states "During this time Scotland’s population was falling relative to England’s, which would have worked against the Barnett squeeze". The implication that updating the population proportions would have accelerated the Barnett squeeze is wrong: the correct Block Grant Adjustment would have required a lower population proportion to be applied than that actually used, reducing the Block Grant adjustment and accelerating the Barnett squeeze8. 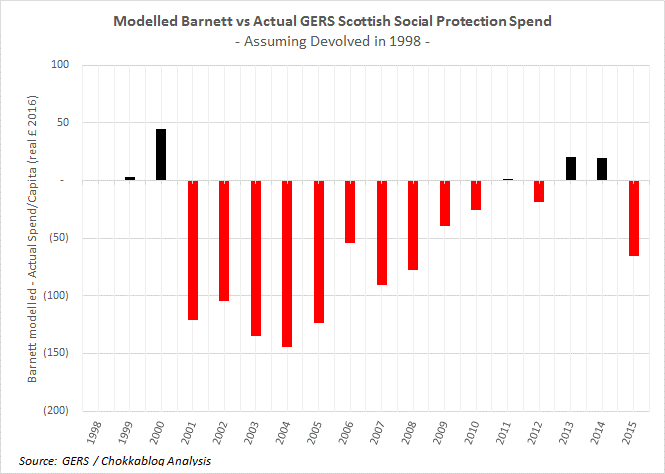 Because Social Protection is broken out as a category in Scottish Government GERS figures back to 1998, we can use our model to see what (in purely arithmetic terms) would have happened if in 1999 we'd devolved Social Protection (SP) spend and used the Barnett Formula to calculate Scotland's SP Budget (given what we know actually happened to SP spend in rUK). We can of course compare that to what happened to the actual, predominantly reserved Scottish SP spend per GERS. 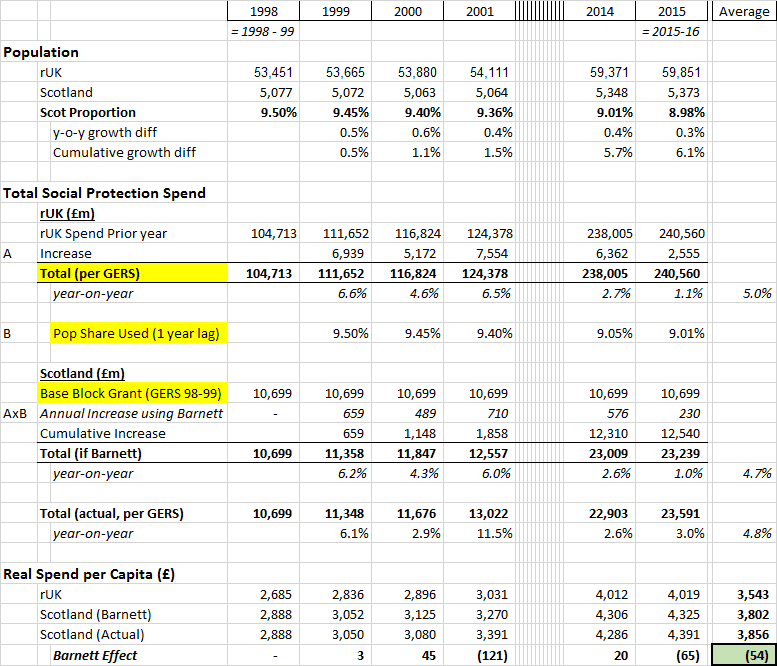 What we can see is that on average over this 17 year period Scotland has received £54/capita more Social Protection spending than if it had been simply devolved and subject to the Barnett Formula9. Multiply that figure by Scotland's population and you get a £288m average annual benefit. To put that figure in the context of a standard SNP grievance: their decision to centralise Police Scotland and incur VAT costs us just £25m pa. In the early 2000s the benefit of retaining Social Protection as a reserved department allocating funds UK-wide based on need (vs. our notional alternative of devolving in 1992) was often greater than £100/capita. The fact that the gap closed in recent years is presumably something to do with Westminster policies that shifted Social Protection spending in a way which negatively impacted Scotland more than rUK ... or it could be to do with the dynamics of decelerating growth in cash spend and the relative population growth figures ... but to be honest I think I've reached the limit of my capacity to try and unravel the figures at this point. Applying the Welsh population figures to our model shows how a 20% per capita spending premium in 1978 would have reduced to a 7.4% premium in 1992 (cf Scotland's 13.3%) and 6.0% by 2016 (cf Scotland's 9.5%). The current Fiscal Framework is designed to satisfy the Smith Commission recommendations, in particular clause 95 (1) which states that "...the block grant from the UK government to Scotland will continue to be determined by the Barnett Formula". Devolved revenue raising powers adds a layer of complexity to this debate because the Block Grant (calculated using Barnett) is reduced by an amount to adjust for revenue devolved. The nature of that Block Grant Adjustment (BGA) was the source of much debate during the Fiscal Framework negotiations, in particular how one indexes the BGA in future years to satisfy (and interpret) the Smith Commission requirement of "no detriment". As the IFS highlighted at the time: " it is impossible to design a block grant adjustment system that satisfies the spirit of the ‘no detriment from the decision to devolve’ principle at the same time as fully achieving the ‘taxpayer fairness’ principle: at least while the Barnett Formula remains in place"
I'd hazard a guess that most voters in the UK buy into the principle of pooling & sharing resources: we spend money on public services based on need, we don't just aim to spend the same amount per person. Aside: There is an alternative view which is that the constituent nations of the UK should "stand on their own feet" and be fully fiscally autonomous. 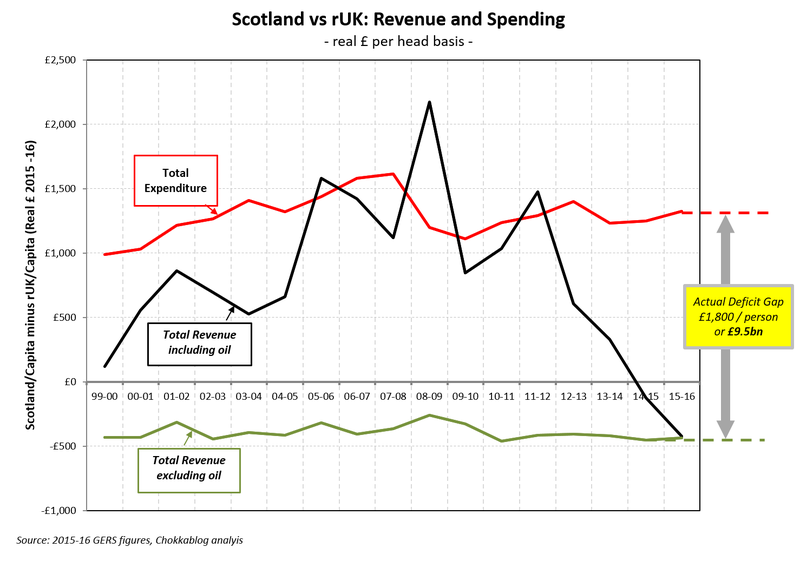 As this blog has previously explained in detail (> Full Fiscal Autonomy For Dummies) that way madness lies. From a Scottish perspective that could only make sense when oil was generating upwards of £9bn pa of tax revenues - without those oil revenues Scotland would have to find that £9bn pa from some combination of tax rises or spending cuts to be fully fiscally autonomous and satisfy the fiscal constraints that would come with currency sharing. There's a reason we don't hear the SNP calling for Full Fiscal Autonomy anymore. Scotland's population is 6x more dispersed than England's - is it "fair" to expect the same per capita amount to be spent on Transport or Education? There are of course many other factors to consider when it comes to defining need (healthy life expectancy, unemployment rates, areas of deprivation, etc.) but this blog-post is already too long to start exploring them further. The change in population is the only consideration of ‘need’ in the Barnett formula. However, the cost of providing public services is influenced by a range of other factors including, but not limited to, characteristics of the population, deprivation and population density. There have been frequent calls for the Barnett formula to take greater account of need, or to be replaced with a needs-based formula. In 2010 the Holtham Commission, which considered funding for devolved government in Wales, recommended that a need-based formula should determine the block grant. After considering devolution in Scotland, the Calman Commission recommended in 2009 that the block grant should be justified by an assessment of need. Lords Committees in 2009 and 2015 recommended replacing the Barnett formula with a needs-based formula. Similar recommendations were put forward by the House of Commons Justice Committee in 2009 and by other Parliamentary committees in the past. There's an interesting point to be made here relating to "more powers". We've shown above that if (say) Social Protection were devolved and subject to Barnett, it would become subject to the Barnett Squeeze. Unless our population were to decline in absolute terms, the act of devolving spending in an area where we currently experience a higher per capita spend than England would inevitably see a decline in the premium given to spend in Scotland (irrespective of actual need). 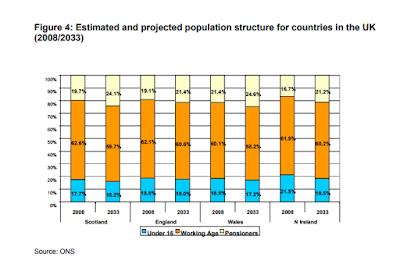 Were Scotland's population growth to accelerate (or the UK's decline) that squeeze would accelerate. Why would anybody in Scotland think that a good idea? Of course one could argue that the best way to deliver Social Protection based on need is to apply the same policies nationwide and have the same criteria and needs assessments in place irrespective of which constituent UK nation you happen to live in. Those continually complaining about spending powers that remain reserved to Westminster should maybe take a moment to consider: fairness may best be delivered by keeping spending areas like Social Protection (or Work & Pensions as defined in the departmental allocation table above) largely reserved. Personally I'd argue against any further devolution of either spending or revenue raising powers until these fundamental issues related to the Barnett Formula are addressed. 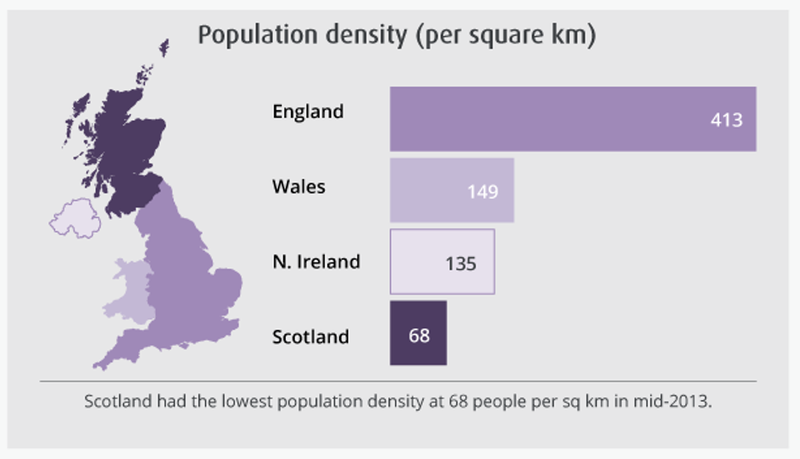 The population density is largely irrelevant now the SNP have centralised everything. Time to scrap Barnet altogether and just give local councils in areas of need extra money and legislate that Holyrood cannot deduct money from councils because of central government aid. At first sight without building a spreadsheet and perhaps being dense, its not clear to me how you adjust the English and Scottish baseline numbers each year- if you can more...? "In terms of the point about per capita spending, there are very good reasons, as anybody who knows Scotland well as you certainly do for that difference. We have a country where one in five of our population lives in our rural and remote community. I was Health Secretary for five years. It costs much more to deliver health services on an island or rural community than it does here in the centre of the city of Glasgow." It costs a lot more to provide services in Scotland, because of the challenging geography. So after independence we will either have to accept a lower level of services, a higher level of taxation, or all be herded into the Central Belt. While the argument it costs more to deliver services over our large remote geography is partially true (relative to our population size and location) the Scandinavian countries also have a similar problem (often in more remote areas near the Arctic circle region, without the milder weather we enjoy due to the gulf stream). The reason they are among the most prosperous countries in the world, with some of the best public services, is because they are prepared to fund this through taxation. The UK has been shrinking the amount of tax individuals and companies have to pay for the last 3 decades and that's why our public services are struggling with under investment. In Scotland we also lose a disproportionate amount of money paying for the human cost of the legacy of deindustrialisation; poverty, lack of affordable and good quality housing, a lack of jobs and investment in certain communities to replace lost jobs, which ultimately leads to crime, alcohol and drug misuse. A high prison population through repeat offending costs our economy and public services £1 billion a year while alcohol and drug misuse combined costs us £7 billion through lose of productivity and the cost to public services like the justice system, police, courts and A & E.
Thankfully through government intervention (of all colours) we have begun to tackle smoking-relating diseases but we need the same approach towards higher taxation on sugar and alcohol. Treating drug misuse as a healthcare problem and not punishing people with addiction through the courts and using the money to fund treatment programmes has made a big difference in Portugal and is saving lives. It also allows law enforcement to focus resources on supply and serious organised crime. - treasury applies the Barnett formula to both capital and revenue expenditure, increased population requires planned expenditure on new schools and educational facilities. The same applies to transport and health, etc. - planned expenditure by the uk government on activities relating to the uk as a whole. The uk government does not account for expenditure according to which territory benefits or pays for it. So the 100% for education includes the administration of student loans even though the student loans company also administers loans of students in Scotland and wales. We need another accounting unit separate from England, wales, Scotland and Northern Ireland which records the expenditure beneficial for the uk as a whole or for a group of territories. - the planned expenditure in England includes London weighting. - your quoted table of departmental expenditure includes double counting, which needs to be stripped out. For example, The education spend includes spend which is also included in the spend of other departments, such as the transfer between Education and DEFRA (via water companies) for the abstraction and discharge of water. Income from the latter is used to fund DEFRA expenditure, so you have the same £ included twice. 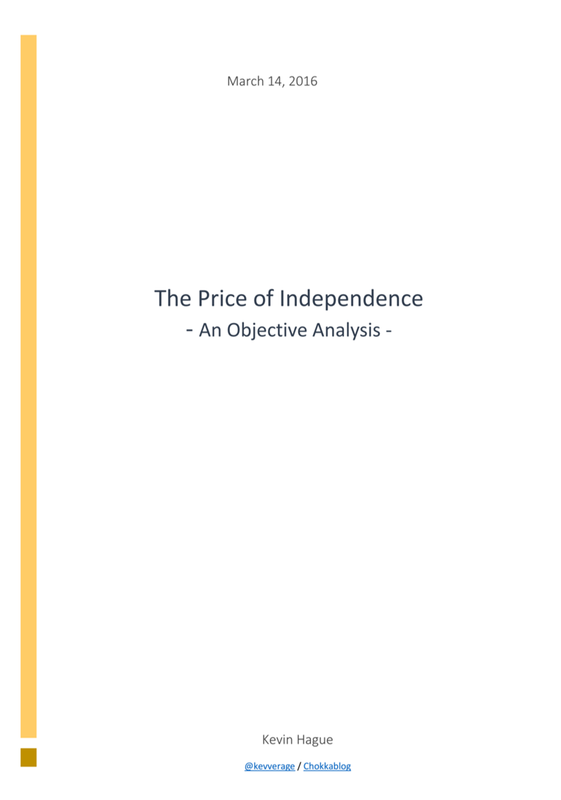 - the quoted government paper does not describe how treasury operates the Barnett formula, neither is treasury's operation of the Barnett formula subject to review by the national audit office, as it is outside the latters terms of reference (it is an allocation of resources, the NAO covers the spending of resources). You offer a strange list of proposed "methodology improvements", apparently missing the point that I was explicitly isolating the "pure" Barnett dynamics to illustrate what they are, not to deny that other things happen. Thos "other things" result in the actual expenditure gap that we see (over £1,500 per capita in past GERS figures and with that spend gap widening as the Barnett dynamics I modeled showed they would). 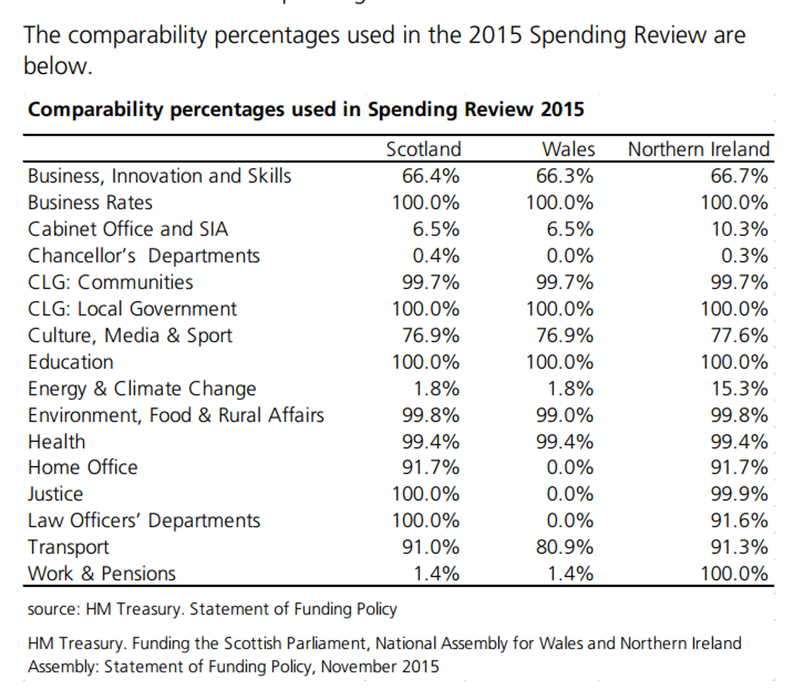 When you say "your quoted table of departmental expenditure includes double counting" that simply makes no sense - what table are you referring to - the comparability percentages are simply a statement of fact, these were the percentages used by HMT in 2015.